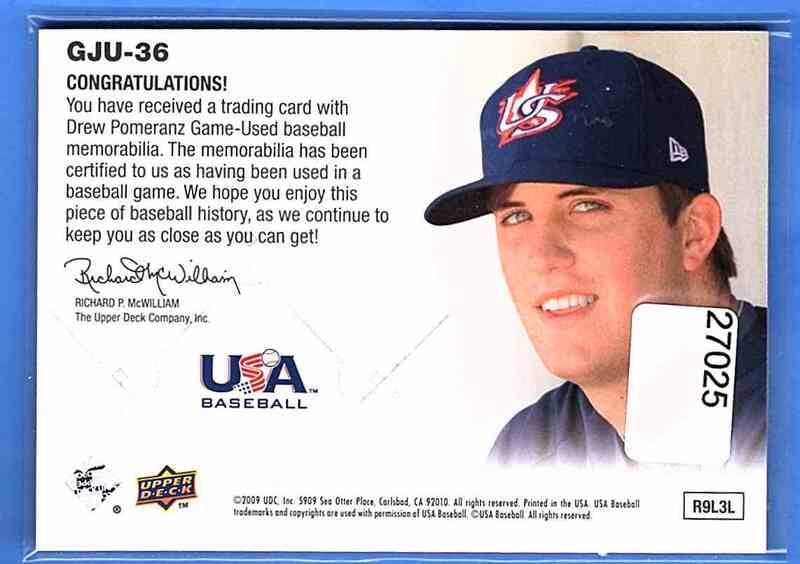 This is a Baseball trading card of Drew Pomeranz. 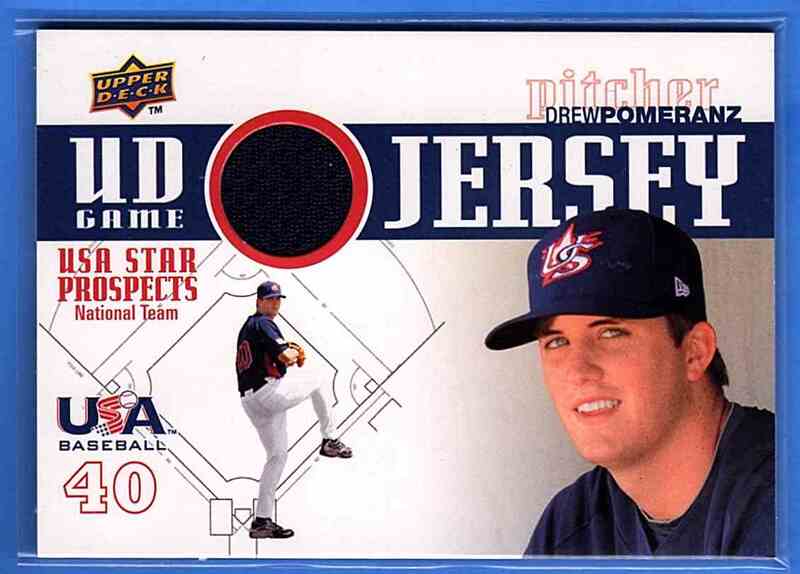 It comes from the 2009 Upper Deck Signature Stars USA Star Prospects Jerseys set, card number GJU36, embedded Jersey 1 Color. 9305. It is for sale at a price of $ 3.00.